Last year was a mixed bag. A (small) handful of interesting MMOs came out. Black Desert Online officially released, Twin Saga disappointed us, Otherland left us asking, “Why?” Riders of Icarus rose to the challenge of replacing Dragon’s Prophet in North America, Blade & Soul had a good start but faltered, and Tree of Savior has received ‘mixed’ user reviews on Steam. Black Desert has been, in my opinion, the only true success story this year and I believe there’s a reason for that. What is that reason, you might ask? It’s an MMO that embraces the psychology of the current average MMO gamer. The average MMO gamer now wants freedom, choices, and ways to affect and change the game world. He wants a sandbox. And so that is the primary focus of my predictions this year: A massive shift away from the themepark genre and a huge focus on sandbox features in MMOs. But first, what about last year’s predictions? My two biggest predictions for 2016 were that Age of Wushu would shut down (and I was wrong) and that Funcom would continue to produce The Secret World tie-ins (and I was right). I’m kind of sad Age of Wushu didn’t shut down, as it’s still limping along. Instead of closing, they opened a new server after further merging older servers. This is an attempt to attract new players and to get older players to return and spend more money on the game. So far the server actually seems to be doing relatively well and is in a healthy spot. Let’s see (and hope) Snail doesn’t drop the ball. I predict this server will die-off, though. 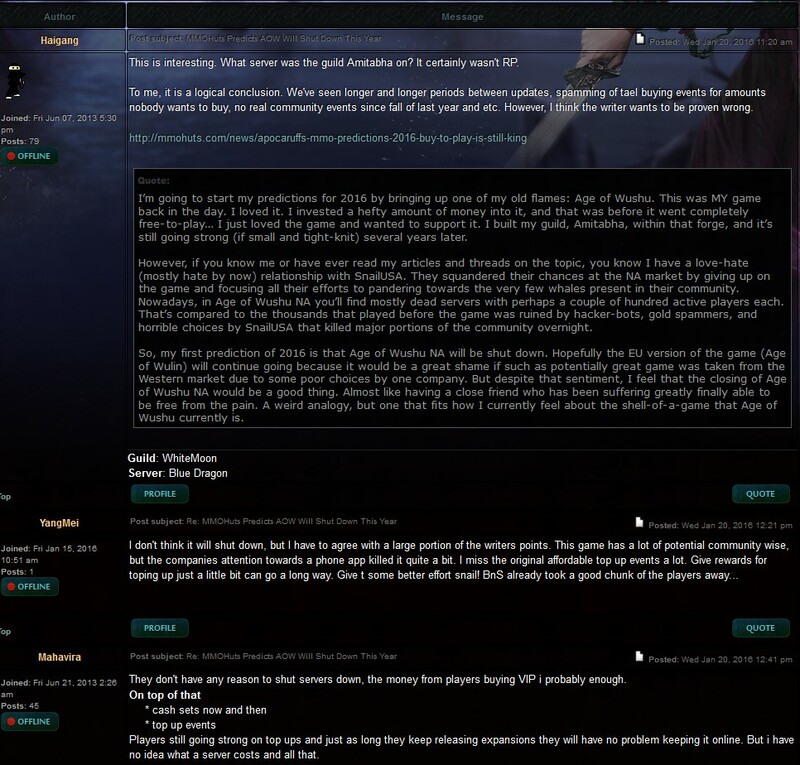 A discussion thread for my prediction of Age of Wushu closing was started on the Age of Wushu forums, and there were some disagreements, agreements, and some in-between opinions. Funcom created a new tie-in game for The Secret World called Hide & Shriek. As you might guess, it’s a jumpscare game. But not in a shock-and-awe with gore way, but more in a family-friendly way. It was released around Halloween 2016, and it was quite fun and got positive reviews. They used a similar formula for when they created The Park, though a more bare-bones one. That is, picking an iconic location from The Secret World (this time it is Innsmouth Academy, my favorite), exploring it in a bit more detail than the MMO did, offering it at a relatively low price, and offering in-game rewards in The Secret World for those that purchase. I’m hoping they continue this, as there are a ton of neat locations in The Secret World that could honestly be a game of their own. In fact, that’s one of my predictions: more tie-ins for The Secret World, and perhaps some that aren’t games. It seems like every MMO – heck, every multiplayer PC game – coming out in 2017 will be a sandbox. Life is Feudal, Conan Exiles, Camelot Unchained, Crowfall, Durango… the list goes on and on. Tons of sandbox games will be playable this year, early as Early Access/Beta titles, or full releases. And that’s just games that are primarily in the sandbox genre. There are even more games coming out that aren’t necessarily sandboxy enough to be called a sandbox, but still have sandbox features. In fact, off the top of my head, I can’t think of one MMO that isn’t at least a sandpark (Themepark with heavy sandbox features, such Black Desert Online and ArcheAge). A game of very ambitious ideas. My prediction for this year isn’t so much a prediction as a sure-thing that I’ve been saying has been in the works for years now: More sandbox MMOs. The industry as a whole is shifting this direction. However, 2017 seems to be shaping up to be a pivotal year in this movement. It could be the year where the “WoW-formula” of generic Themepark MMOs loses its stranglehold on the MMO industry. I’m so sure this will be the case that I don’t even have to say “I hope,” and I feel fine saying that any themepark MMO that comes out from this point forward is assured to fail. I believe it’s a combination of factors causing this change. There are more game developers – and therefore MMO developers – than ever. 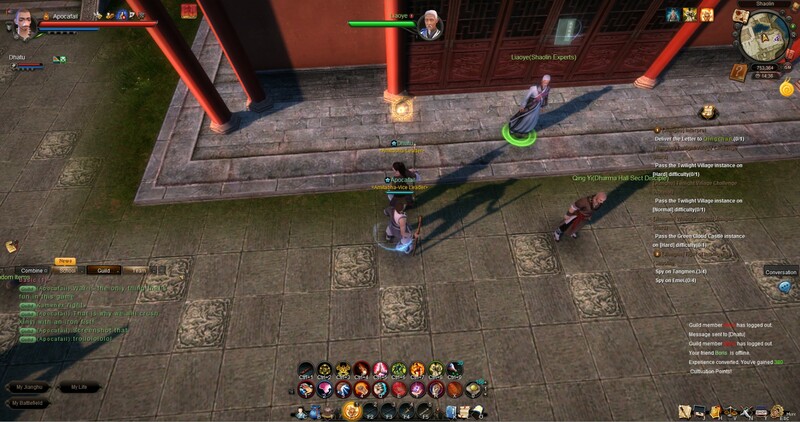 Technology (both software and hardware) has gotten to a point where it no-longer has to be a five-plus year, tens-of-millions of dollars ordeal to create an MMORPG. There are so many feature-rich engines and software tools out there that anyone with a bit of dedication, a vision, and some talent can create a half-decent MMORPG. Sure, having that two-hundred-person developer team and the one-hundred million dollar budget will create a more polished and refined product, but you can still create something worth experiencing with a small indie team that is spread across the world. Every year, there are games that close. And even if games don’t close, there are those that go from being “alive” to being “dead.” Alive being the state in which a game has a lively population that is either steady or growing with semi-frequent content patches by the developer, and dead meaning that the population has dropped to low numbers and stagnated. This year I’ve got a few titles that I think will falter, some I think will stay the course, and a few I think will burst into the scene with a huge following and perhaps patter out. Originally funded for 2.2 Million on Kickstarter in 2013, I’m hoping we’ll get to see multiple stages of beta tests this year culminating in a possible open beta by year’s end. 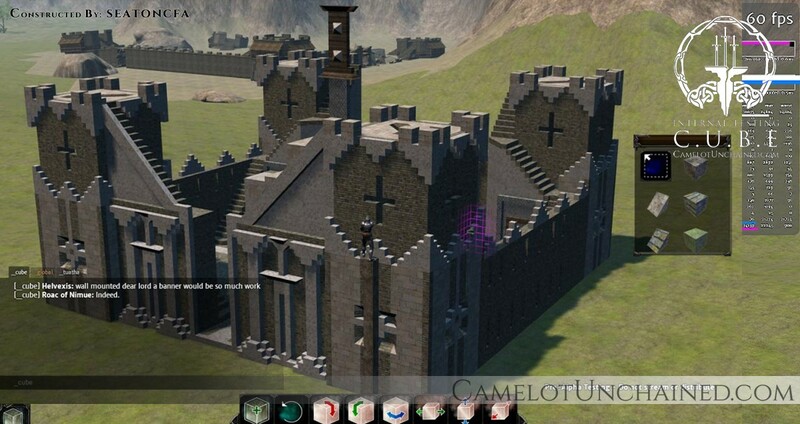 As for games I think will succeed – even if just initially – I would say Camelot Unchained and Life is Feudal have the greatest chances of succeeding. Star Citizen – if we see any sort of meaningful beta test or release this year – will also be a success. Of course, that relies on the game coming to a playable beta state at a minimum, though I imagine it will be getting treated as a launched online arena shooter by December at minimum. Especially now that indie games like Dual Universe are making a big splash and threatening to crowd into Star Citizen’s niche! Crowfall also has a good chance of being a hit, but I really feel like 2017 will be a lot better in terms of sandbox MMO releases, so I’m not sure if it will retain enough ‘hype’ to reach a good starting population with all this competition. 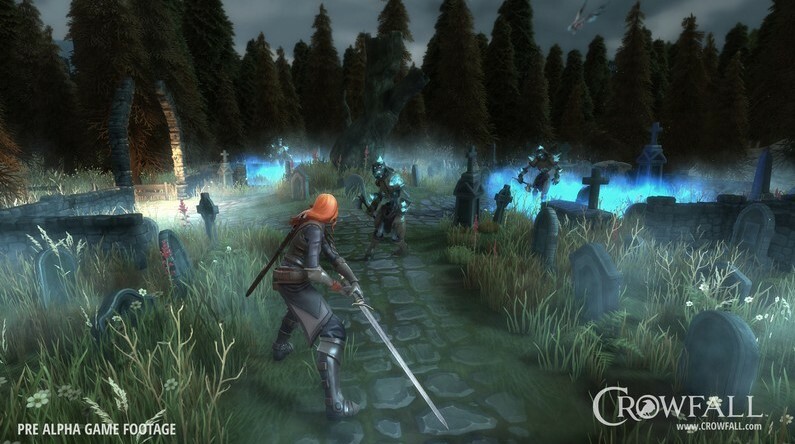 Of course, Crowfall isn’t like the other titles I’m mentioning, so it could very well carve out a hefty niche for itself. The Margoria Expansion has made an already massive game so much bigger and so much better! I feel like Black Desert Online will continue to prove to be one of the best MMOs ever to be released in 2017. Heck, it’s starting off the year with a MASSIVE bang in the form of a major naval update that arrived last week. Combined with the recent completion of the ‘Awakening’ series of updates and the complete merger of all servers means it’s proving to be a powerhouse of a game. It’s also one of the few games on the market that isn’t pay-to-win (though it certainly is pay-for-convenience). I believe Black Desert Online will reach record numbers this year. As for those that I think will fall… Well, I already said that Age of Wushu’s new server wouldn’t do that great. I further predict that the game will close down this year. SnailUSA has a handful of other projects (including yes… a sandbox survival game Dark & Light) that will see life in 2017 and I imagine they may want to move their existing Age of Wushu player-base to these new games so they can bring in more money. However, even if I think Age of Wushu will finally be closed this year, I also think Snail is doing a bit of good, especially with their up-coming VR title ARK Park. I was wrong about predicting Age of Wushu’s closing last year, but will I be right this year? The Life is Feudal launch may be rough for Wurm. Wurm Online is still going strong and I predict that will continue for 2017. I’m thinking it may not see much growth this year, though. But I am probably (hopefully) wrong. Life is Feudal has finally gotten around to beta testing their new MMO in 2016. Further testing will take place in Q1 of 2017 with the ‘open beta’, that all users that own Life is Feudal: Your Own can participate in, coming in Q2 or perhaps Q3 depending on how things go. Either way, it’s exciting to see this title come along. In terms of features, it’s on par with Wurm Online, and I fear a lot of players will end up leaving Wurm for Life is Feudal unless Wurm can pull some tricks out of its bag. 2016, at least for me, was a disappointing year in MMO gaming. Sure, some neat stuff came out. 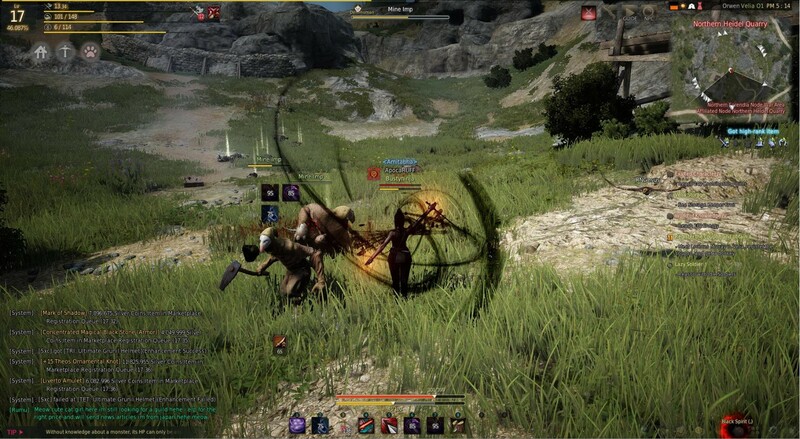 Black Desert Online, for example. 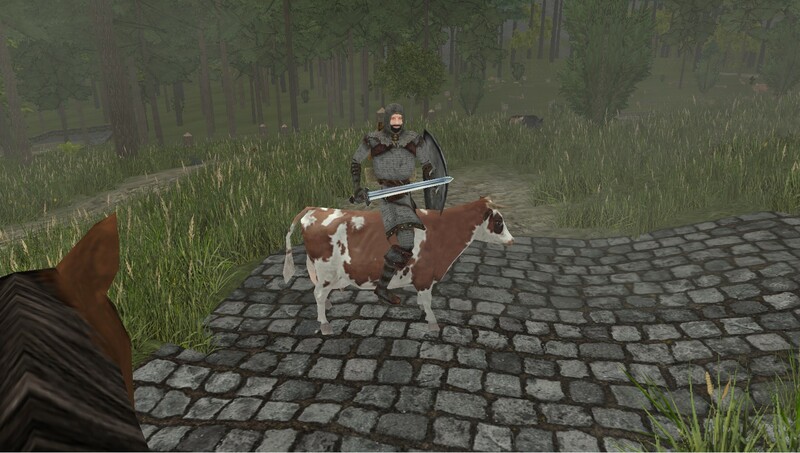 Life is Feudal started its MMO beta testing, too. But other than those two things, nothing in terms of MMO releases stood out for me. Wurm didn’t see too much improvement in 2016, unfortunately, and it has me concerned for the up-coming Life is Feudal release. Their target audiences greatly overlaps and I’m afraid that, if not taking current players from Wurm, Life is Feudal will end up taking away potential players from Wurm. Overall, though, this year looks to be a very great year for sandbox gaming and there appears to be too many up-coming titles to count. I’m really looking forward to 2017 and what it will bring to the industry! May the sandbox beta wars commence!